Hope! Congratulations on being the winner of Booklicious' first giveaway, Hope! 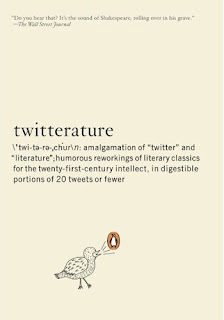 Your copy of Twitterature will be shipped to you this week, just in time to kick off a new year of reading. Hooray! After reading Michael's review, I can't wait to read it. Books = the best Christmas present of all!